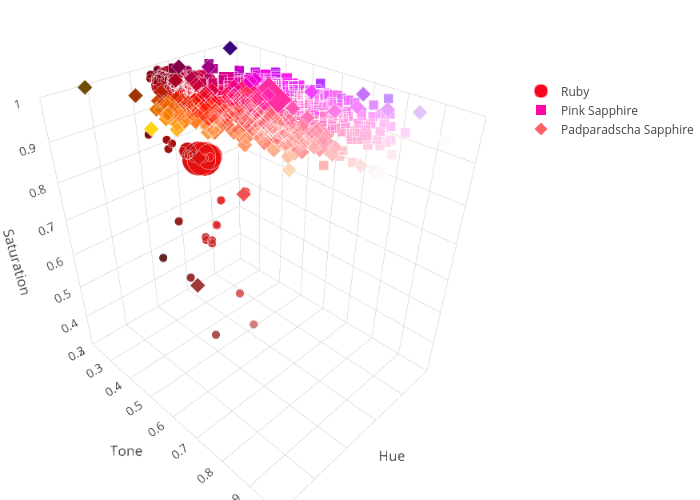 Addison_gemsociety's interactive graph and data of "&nbsp;" is a scatter3d, showing Ruby, Pink Sapphire, Padparadscha Sapphire. The x-axis shows values from -1 to 6. The y-axis shows values from -1 to 4.